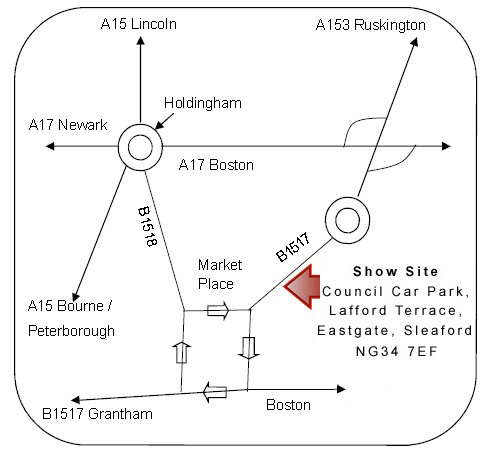 The Sleaford Classic Car and Motorcycle show is held at the Council Offices Car Park, Lafford Terrace, Eastgate, Sleaford, Lincolnshire, NG34 7EF. 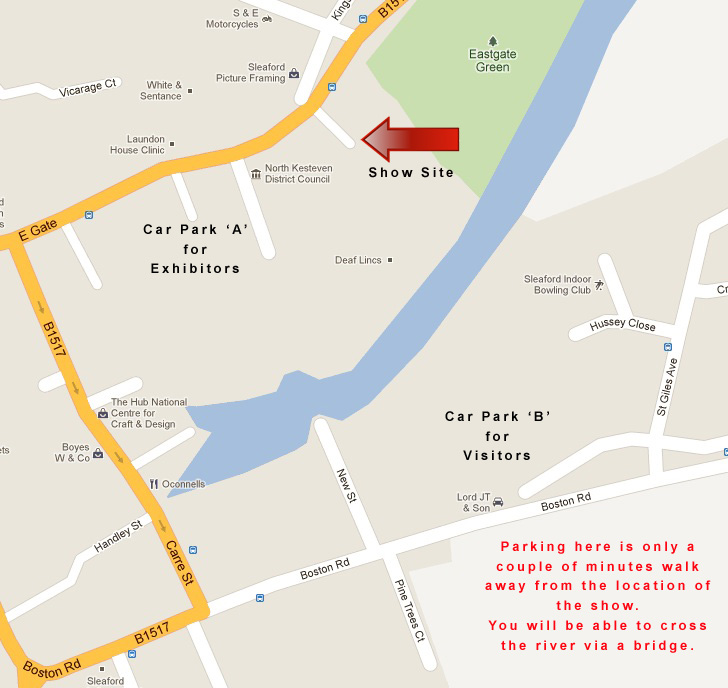 Please can exhibitors use car park “A” and visitors use car park “B”. Visitor parking is just a couple of minutes walk away. There is a bridge from the car park that lets you cross the river.